Panel topics ranged from gun control to LGBTQ rights. The time and place couldn’t have been more fitting. As citizens around the country celebrated the first day of Pride Month and participated in Wear Orange Day to advocate for gun safety on June 1, another event designed to inspire acceptance and drive social change was kicking off—The Teen Vogue Summit: Turn Up. 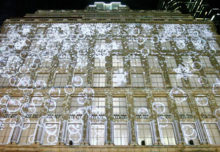 Held at New York City’s nonprofit research university The New School, the event encompassed three days of hands-on learning, discussion and volunteer activities. In a year marked by divisiveness, we couldn’t pass up the opportunity to see how the publication turned its aspirational tagline, “the young person’s guide to saving the world,” into a live experience. Join us as we take you on a firsthand journey through the thought-provoking event. 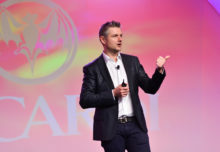 The New York-based summit served as the second iteration of the event following a successful two-day experience in Los Angeles last December. 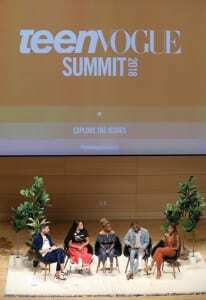 This time around, Teen Vogue strategically hosted the event in its top market, helping to draw new speaker talent and attract throngs of teens to the three-day affair. And with a venue featuring a spacious keynote area, ample breakout rooms and chill spaces, the publication was fully equipped to accommodate its robust audience. “The New School’s modern design and mission to create positive change in the world are very much aligned with Teen Vogue aesthetically, as well as philosophically,” says Erica Boeke, vp-experiential at the publication’s in-house agency, 23 Stories. The theme of the summit, “Turn Up,” was right on the money. It served as a call to action to “Turn Up to the polls” and was also designed to inspire attendees to speak up and create change across an array of topics. So it was only natural that the event’s speakers, who included everyone from former Vice President Al Gore to gun control activist and Parkland shooting survivor Emma Gonzalez to comedian Hasan Minhaj, tackled some of today’s toughest issues. 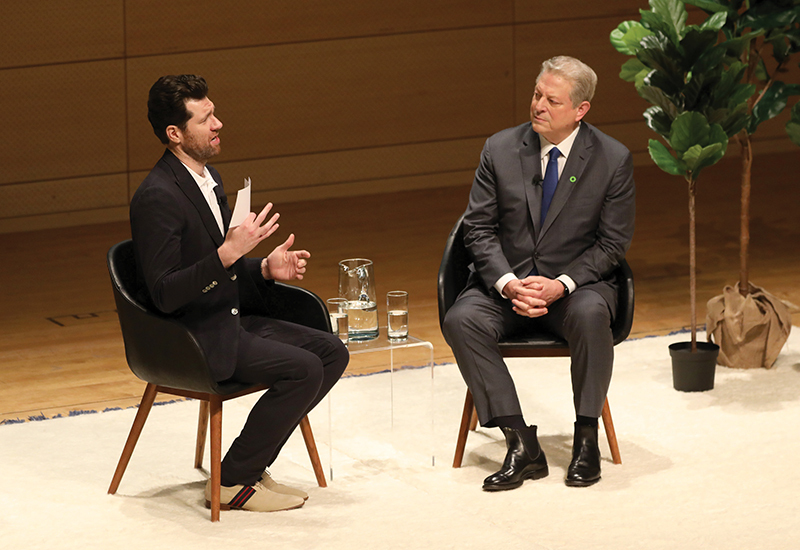 Luminaries like former Vice President Al Gore tackled tough topics with candid dialogue and perspectives. From immigration and gun control, to mental health and LGBTQ rights, the dialogue was passionate, dynamic and, in most cases, full of promise. And as we popped in and out of various discussions, one thing became clear: If ever there was hope for the future, it lies in Generation Z. We encountered young advocates of every kind during the summit, and discovered they’re not just seeking social change—they’re demanding it. “Teen Vogue was trying to connect our engaged audience with leaders… and motivate them to take action via group activities designed to have real impact,” says Boeke. Despite the heavy subject matter, there were also plenty of fun activities to check out, including mocktail hours (for a mostly teenaged audience), book signings, meditation sessions, after-hours activities and music and poetry performances. Attendees also participated in sponsor activations with a handful of companies carefully selected based on their brand ethos. Like mission-based retailer TOMS, which gave attendees a chance to find out if they were registered to vote via tablets, and if not, helped them sign up. They could also participate in a GIF experience featuring a structure designed to look like a real voting booth, or look on as TOMS launched a live broadcast from the summit. Facebook Messenger’s #TurnUp wall, where attendees could share #MessagesThatMatter, was another popular engagement. Among the inspiring posts: “I turn up for equality and those voices that have yet to be heard” and “[I turn up to] prevent sexual assault and victim blame.” There were also experiences led by students of The New School, including a chance to have a custom-designed bag embroidered on-site and a GIF booth experience produced in partnership with The Bosco. As we watched several groups participate in the photo op, we couldn’t help but think about the energy Gen Z incorporates into everything they do. Book signings from thought leaders, culturally relevant entertainment and activations rounded out the experience. Other sponsors included PBteen, which supplied cozy, chic furniture for one-on-one interactions or small group discussions, and Lifeway, which distributed samples and integrated its healthy products into the event’s meals (most of which were gluten-free—cue our eye-roll). 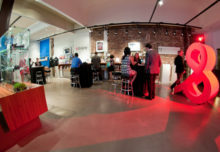 And then there were the design elements carefully crafted by Teen Vogue itself, like posters that read “Radical Self Love” and “Love Always Wins” plastering the walls, and a cluster of signs featuring positive messaging that greeted attendees upon entering the summit and served as a popular photo backdrop for countless groups of teens. In addition to the killer content and hands-on activities, we were struck by the event’s sense of community. 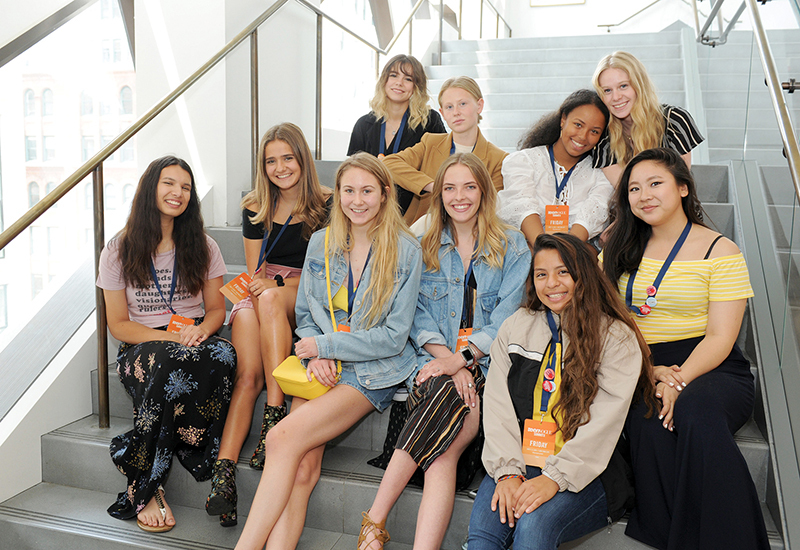 Shortly before entering our first session, we stumbled upon a group of girls who were gleefully reuniting with friends they had made at the L.A. summit. Their giddiness was palpable. “We loved hearing the stories of attendees from all over the country who met at the L.A. Summit, keep in touch regularly and then came to the New York Summit to hang with their crew,” says Boeke. As we left the event, a little extra fire sizzling in our bones, a particularly poignant quote from former Michelle Obama speechwriter Sarah Hurwitz’s session came to mind: “Relentlessly and endlessly tell the truth.” If there’s one thing Teen Vogue is trying to instill in its readers, it’s a sense of empowerment that inspires them to uncover the truth and actively pursue justice. So to all the tireless champions of change working toward a better future, we salute you. Keep turning up. On top of content and top-notch speakers, the summit has fueled a community among attendees.